PS.The Sedi-Rate system allows a rapid and safe execution of the ESR test according to the Westergren method. 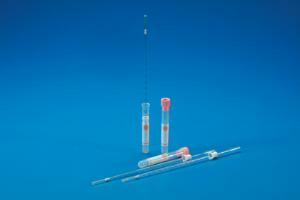 The system is composed of a tube in PP (12x86 mm) with label, complete with pink-cap containing 0,2 ml sodium citrate. 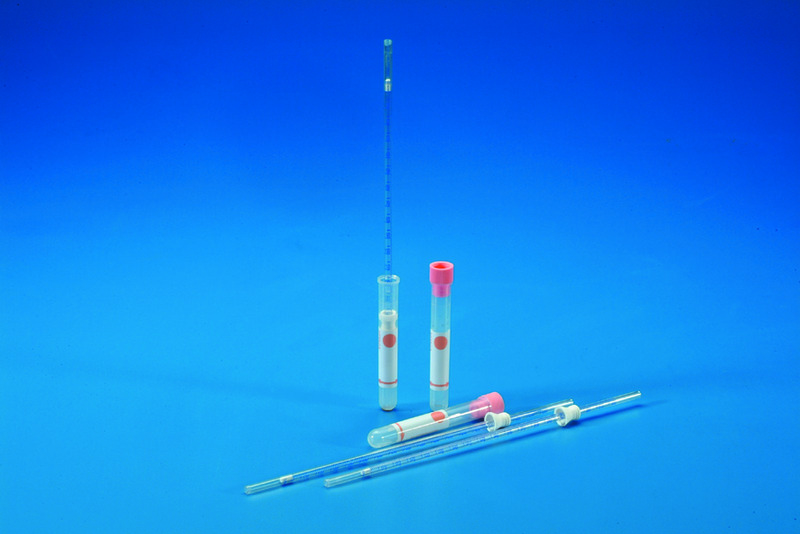 The pipette in PS is silk-screened with a graduation scale from "0" to "180" and is provided with a fibre cap (allowing the blood to reach the 0 level) and with a little piston allowing a quick filling of the pipette thanks to the pressure exerted within the tube.